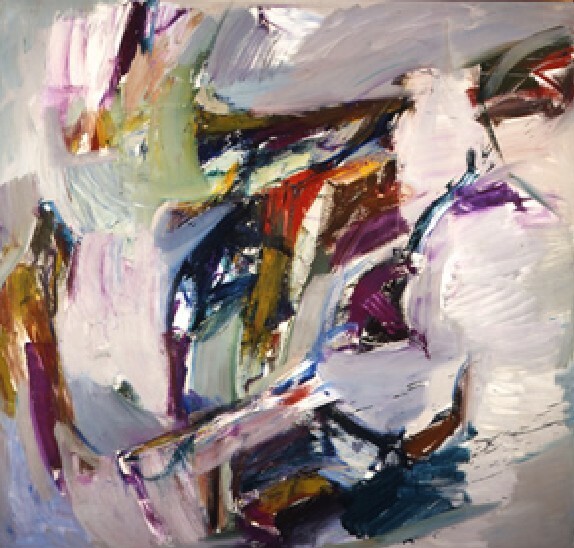 John Altoon, Untitled, 1959, oil on canvas, 69 x 72 5/8 inches, Collection of Laguna Art Museum, Gift of Ruth and Murray Gribin. LAGUNA BEACH, CA.- The Laguna Art Museum presents California Art from the Permanent Collection: Part II, 1930s to 1950s. California Art from the Permanent Collection: Part II, 1930s to 1950s is the second of three successive exhibitions that focus on art from the Laguna Art Museum permanent collection, which holds works ranging from the early nineteenth century to present day. Part II, 1930s to 1950s delves into the early development of modernism in Los Angeles . The fourteen painters and sculptors represented in Part II are: John Altoon, Ed ward Biberman¸ Dorr Bothwell, Nicholas Brigante, Hans Gustav Burkhardt, Francis De Erdely, Phil Dike, Keith Finch, Oskar Fischinger, Peter Krasnow, David Levine, Dan Lutz, Lee Mullican, and Peter Voulkos. Part I, The Beginning, 1832-1925 traced art in California from the earliest paintings, which were mostly descriptive, primitive landscapes, to the romantic landscapes in Northern California, to the advent of impressionism in Southern California, and, finally, to the various modernist movements that followed. The sixteen painters represented in that exhibition were: Mabel Alvarez, Maurice Braun, Norton Bush, Elanor Colburn, Marius Dahlgren, Ferdinand Deppe, William Hahn, Anna Althea Hills, Fernand Lungren, William Joseph McCloskey and Alberta Binford McCloskey, Julian Rix, Matteo Sandona, Donna Schuster, Frederick Schwankovsky, Juan Buckingham Wandesforde, and Karl Yens. Today Laguna Art Museum s permanent collection has nearly 5,000 works of art. The collection and the Museums library and curatorial artist files, which date back to the early twentieth century, make the Museum one of the premier resources for the study of California art. Organized by Laguna Art Museum , and co-curated by chief curator Tyler Stallings and curator of collections Janet Blake.